If you’re like most people, you dream about buying a nice home in a nice neighborhood. Well, here’s your chance to make your dream come true to own a home in Central Florida! If you can afford a reasonable down payment and monthly payments, you could easily qualify for one of our exciting home purchase programs! 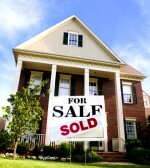 Our Company specialize in working with the Seller and the Bank to liquidate properties prior to foreclosure. It takes 30 to 90 days to close on these propertes. The properties are fully insured through title insurance. It is simple and easy to qualify. All you need to do is click the download link on the left side of the screen and fill out an application. The Buyers receive great discounts from purchasing properties through our company. The Sellers are happy because the house didn't go to foreclosure and the Realtor is happy because it closed quickly. Our Company is Not a Real Estate Company! Our Company is not a real estate agency, although we have a Realtor who is a member of the Company. Unlike Realtors®, we may have a financial interest in the properties we sell, so we are much easier to work with and are very flexible on terms. The properties you see here may or may not be listed with a Realtor. We work closely with Sell Fast Realty (www.sellfastrealty.com) for added benefits to our sellers and buyers and access to an even larger buyer pool and a larger selection of available homes. Let Us Help You Find the Home of Your Dreams in Central Florida! Apply Online by Joining Our VIP Buyer List or Call (407) 888-3255 Now! "You've enabled me to purchase a home"